Breathe fresh life into your old and dated concrete areas. Much cheaper than laying fresh concrete and looks just as good, if not better. 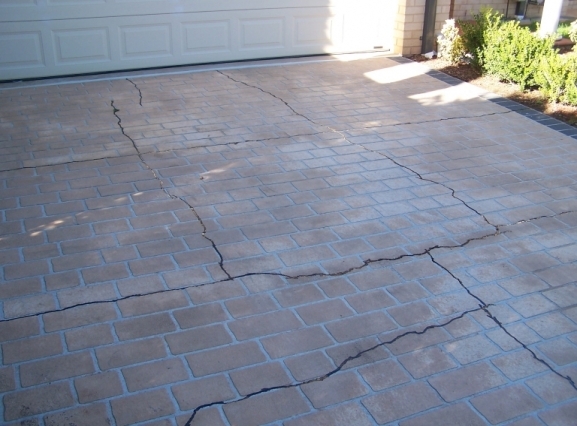 Professional concrete repairs for cracks, concrete cancer & uneven surfaces without the need to replace the concrete. 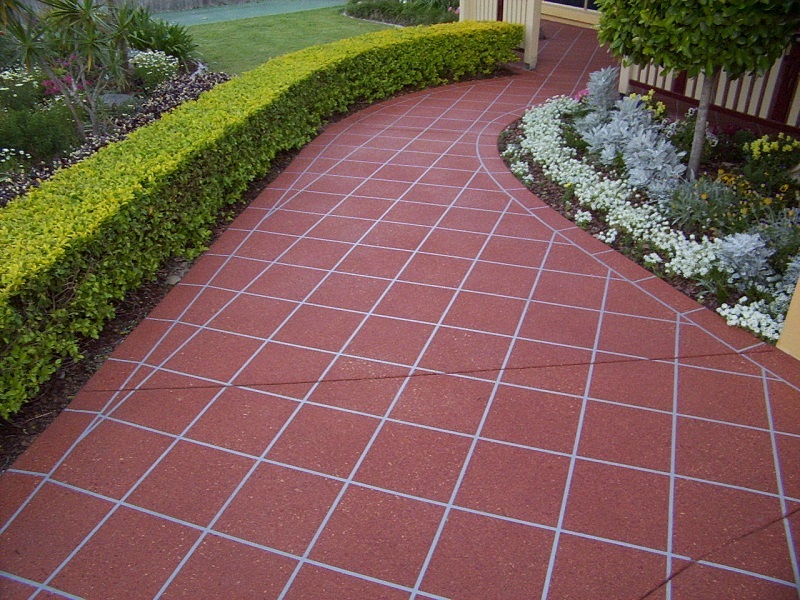 Your concrete will lookibetter than new, for a fraction of the cost. 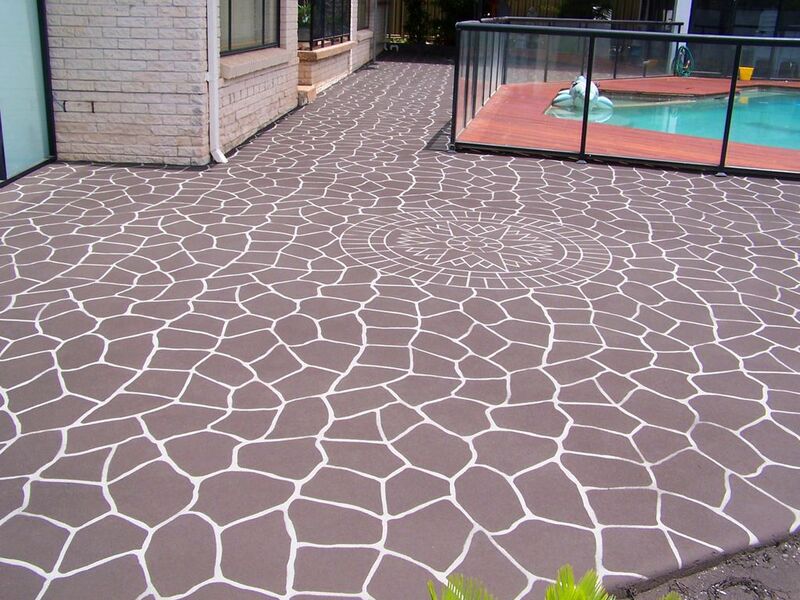 We offer a huge range of stencils, concrete designs and colours, so you can have full creative control over the look and feel of your resurfaced concrete. As well as being non-slip and highly durable, our concrete sealing will protect your concrete against the elements and heavy use for years to come. 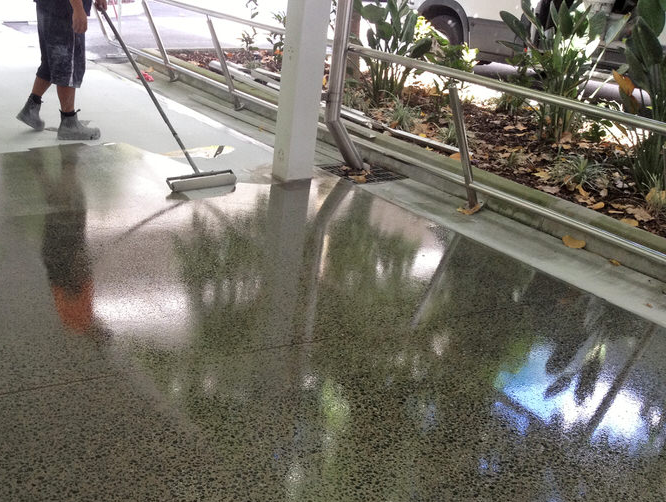 Spray on concrete is a great solution for most concrete areas. 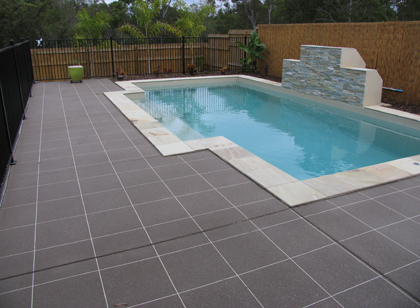 It has all the benefits of replacing your concrete, but comes at a fraction of the cost. 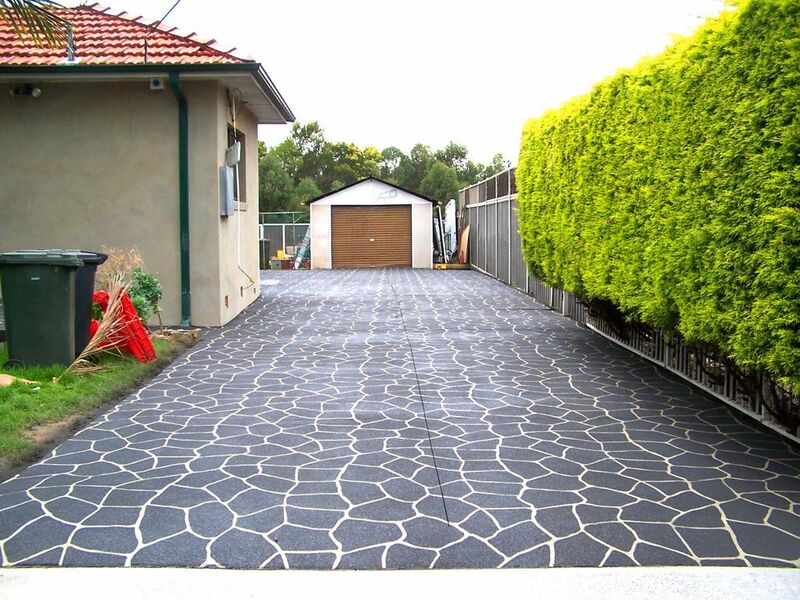 Not only do can we restore old, damaged concrete, but we can give it a fresh new look that is the envy of your neighbours.